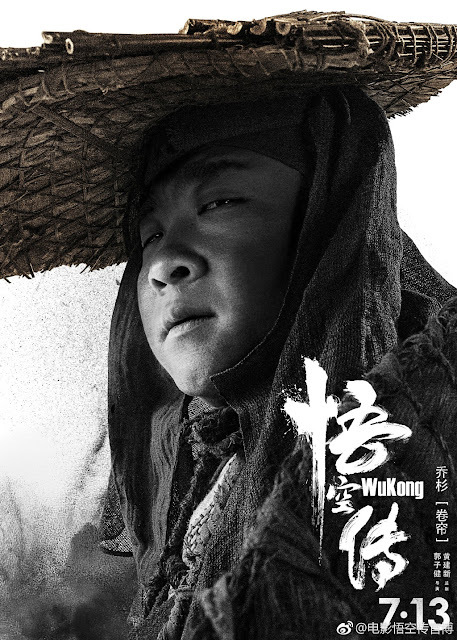 The most recent posters for the upcoming summer blockbuster Wu Kong 悟空传 are stylistically slick, reinventing a much darker and broodier Journey into the West. 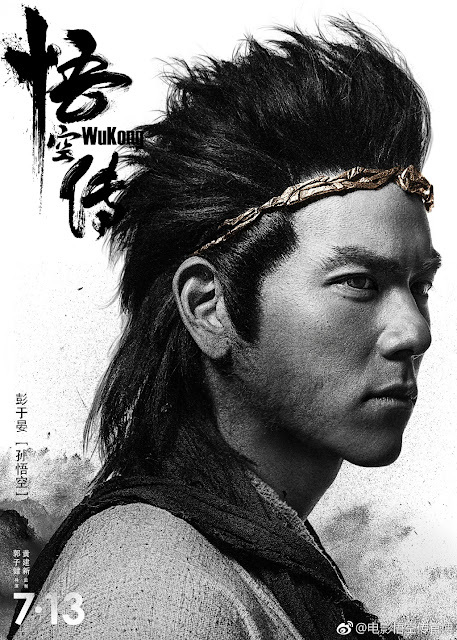 It certainly has a contemporary appeal, featuring a Monkey King with less facial hair and more Eddie Peng. 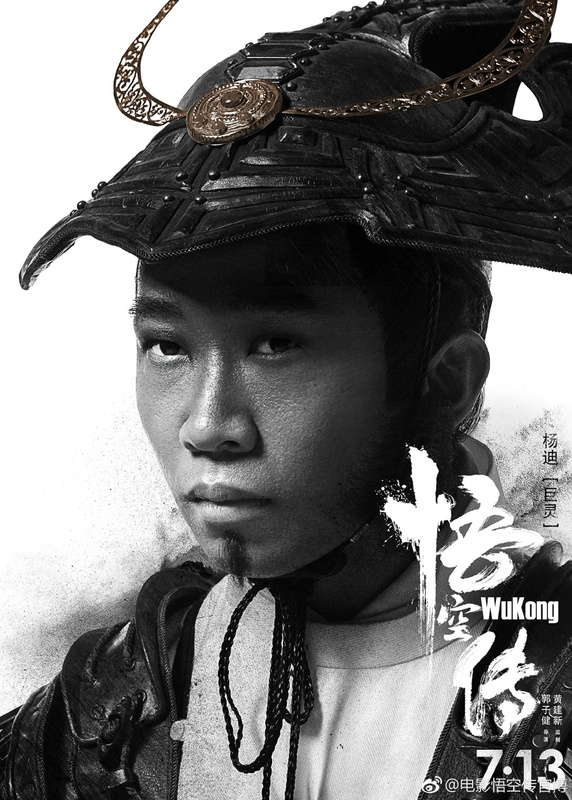 I'm taking an immediate liking to this now, whoever's behind these promos are smart. Eddie Peng as Wu Kong, a prideful and unruly monkey from Hua Guo Shan who bears a grudge against against the heavens for ruining his home. He sets out on a journey and meets the people that he is fated to meet but a world of pain awaits and pushes him to the brink of despair. 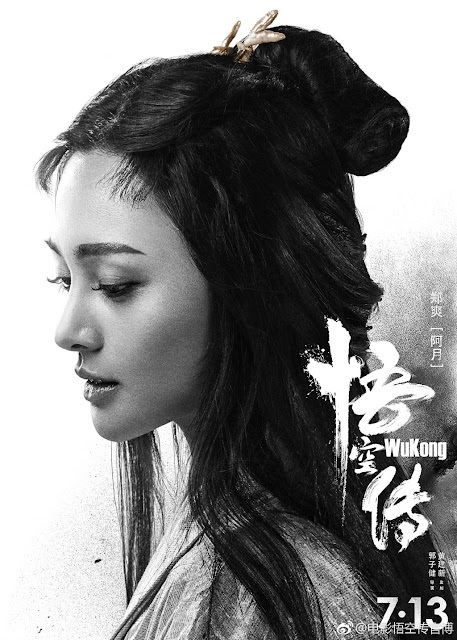 Ni Ni as Ah Zi, the woman that Wu Kong falls in love with but can never have. 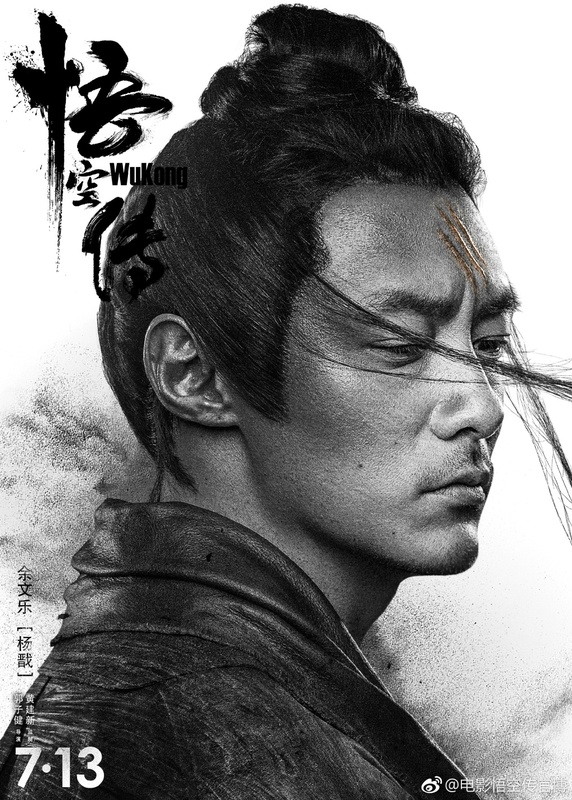 Oho Ou as Tian Peng, a man longing for his beloved Ah Yue. Shawn Yue as Yang Jian, a man destined to become Wu Kong's nemesis. 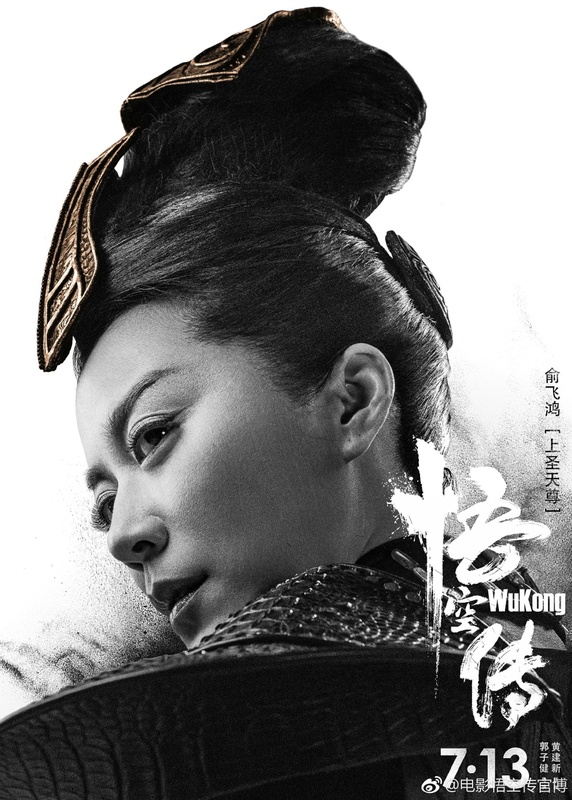 Yang Jian is a powerful warrior in Chinese mythology, righteous yet obstinate. I love that he literally has a puppy for a sidekick. 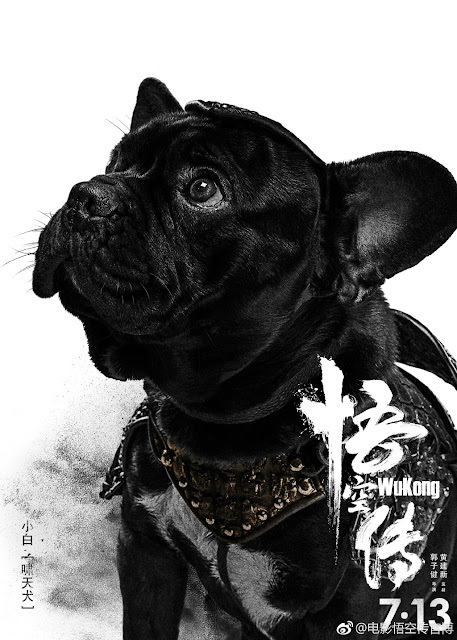 Xiao Bai as Xiao Tian Quan aka the Howling Celestial Dog. Yes can't wait for this. 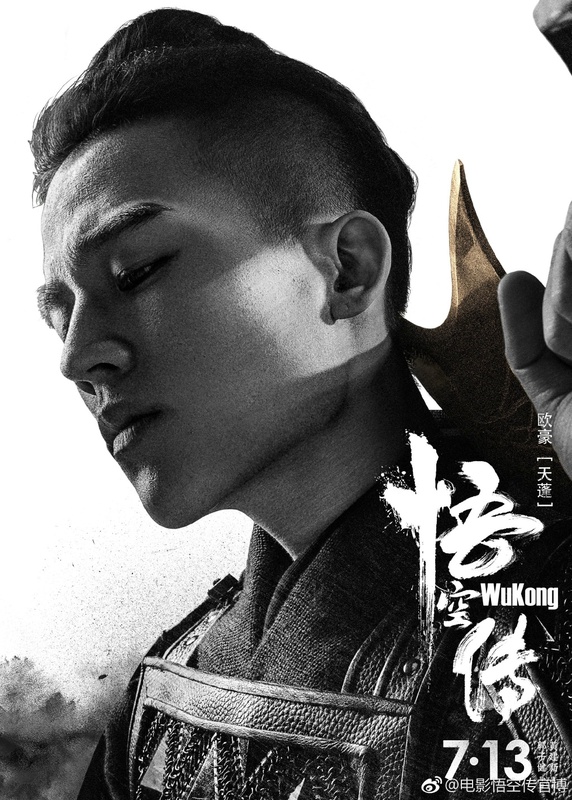 More Eddie peng is always a plus in my book.